Our Mission is to support Polish culture, traditions and heritage and has done since 1936. This organization has dedicated its efforts towards helping Polonia and all of the diversified residents of our Staten Island Community. 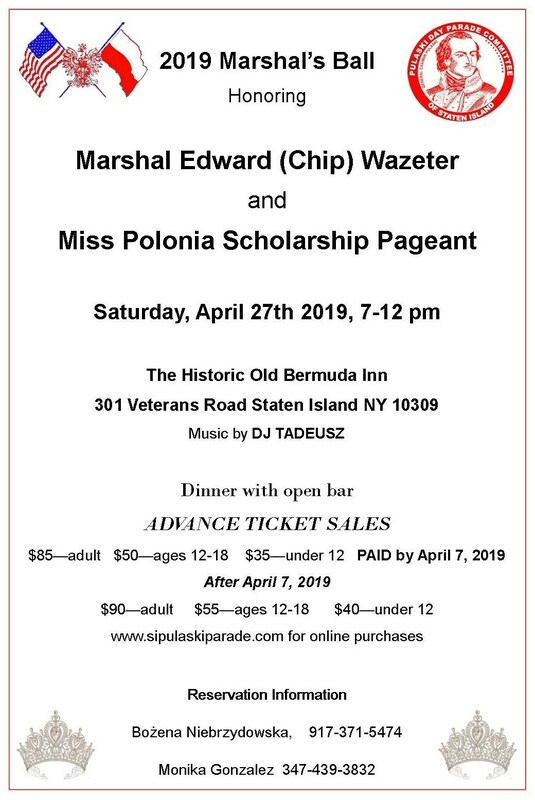 A Marshal's Ball and Miss Polonia Scholarship Pageant is held annually, to honor an individual who has dedicated their time and efforts in support of Polonia and young ladies of Polish descent participate in a Miss and Junior Miss Polonia Pageant. MARK YOUR CALENDARS FOR THE 2019 MARSHAL'S BALL!